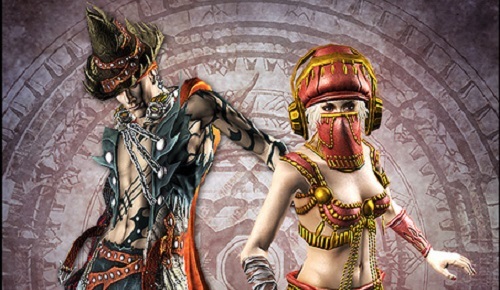 Soul Sacrifice is less than a week away, and Sony wants to remind you the time to pre-order is running out. PlayStation.Blog recently posted the following video showcasing the bonus items you'll receive if you decide to pony up cash beforehand. You can see more details on the bonus items here. I don't want to get into how petty I think it is of Sony to eventually charge for Japanese voice-overs, so I won't. I would like to point out that the Librom, the demonic book who acts as your guide in the game, reminds me of Gordon Ramsay with a chimpmunk effect underlying the vocal track in the demo. The Japanese voice-over has a much better sound to it. For me, the Japanse VOs are a must. I should also note that the demo will lose online co-op once the full game comes out. If you want to try out the co-op (which is the best way to play the game) you have five days left. Your save file will transfer over to the full game. Be sure to check out my impressions on the demo. I also mused about my cooperative misadventures with random players. Soul Sacrifice supports four player online co-op and four player local co-op. It will launch on August April 30th exclusively on the PlayStation Vita. Page created in 0.3541 seconds.